"Growing agility in organizations means to work with agile coaching. Working with agile coaching means working with people. Working with people means working on yourself. This does not work in a quiet chamber. It needs exchange." Our goal is to make this exchange possible for every single Agile Coach. In 2016 every agile coach has the opportunity to participate in a CoRe Day to exchange with other coaches and to learn for his daily business. Traveling and costs are not impeding this. Where is the next event? A CoRe Day (Coach Reflection Day) is an organized and structured day, where (agile) coaches can help each other to solve current practical problems. Structure of a CoRe Day? What will my take-away be? 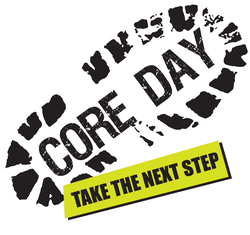 A CoRe Day is focussed on discussing concrete, current, practical problems and challenges in the participants daily work. You will have the opportunity to get ideas, stimuli, criticism, praise and feedback from other experienced coaches. This will help you to improve your work the next day, you enter your company. You will learn new things and make the next step on your way to become a better coach. I'd like to organize one! Just drop a mail to the organizing team: orga@coachreflectionday.org. We will be happy to support you! I'd like to stay tuned! At the bottom of this page is a text field "E-Mail-Adresse" and a button "anmelden". You can register for a newsletter here and get the latest news about upcoming events. A translation of this fields is not possible currently, due to technical restrictions. Sorry.